UTU members, active and retired, need and deserve good government and sympathetic legislators. That is because, compared with others, their jobs, pensions and futures are more directly affected by the actions of state and national lawmakers. We in the UTU must work for and help those people who we feel are capable, knowledgeable and who recognize the problems that affect railroad, bus and transit workers. UTU PAC contributions can be started or increased anytime, and they are deducted automatically from your paycheck. UTU PAC contributes to qualified state and national political candidates, regardless of party affiliation. UTU PAC protects the interests of active and retired members and safeguards laws, working conditions and pension rights. 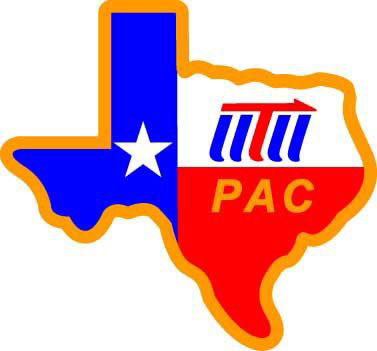 UTU PAC is the largest operating bus and rail political organization in the AFL-CIO. UTU PAC has well-organized advisory committees in 47 states, and an office in Washington, D.C.
UTU PAC contributions can be made on a one-time basis by check, anytime, by active members, retirees, and all individuals who seek a more responsive government. UTU PAC has more than 28,000 members across the country. They welcome your support and investment in the future of our great nation.